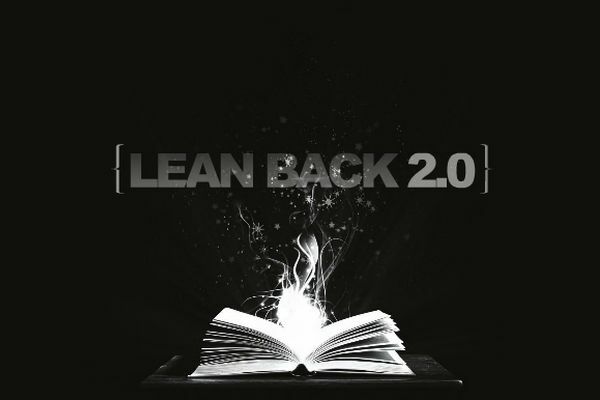 Lean Back 2.0 – the written word undergoes a phase change? Meme of the week, at least for some of us, is “LeanBack 2.0” – not a software product, thank goodness, with that embarrassing name, but a concept byÂ The Economist Magazine, in a slideshow that has made its rounds on the net. The “lean back” part refers to the traditional leisurely approach to reading, where people would read in a good chair, in bed, during long travels and other times when they had time on their hands. The leaning back in a good chair was contrasted to the leaning forward in the office chair in front of the computer, where we consumed (and sometimes produced) content on the Web. The 2 part comes from the rapid spread of reading tablets: Amazon’s Kindle, B&N’s Nook, Apple’s iPad and Google’s Android tablets. These reading slates are largely used like books in the sense that you hold them in your hands, read them in a chair or in bed etc. But at the same time, they are similar to the Web in that you can view many different sources on one device. Statistics gathered by The Economist Â show that users of reading tablets differ from both of the previous groups, while having some similarities to each. Perhaps most notable: Tablet readers tend to read in-depth articles, and prefer long texts to newsclips and soundbites. Is this a result of the technology, does it change the behavior of those who use it? Or is it rather that this technology attracts a specific type of users? I have an opinion on that, of course, being not only a more or less daily user of the Galaxy Tab, but also having predicted the rise of the datapad ten years before the iPad and Galaxy Tab appeared (the Kindle and Nook came a little earlier but were more specialized). Â I think those who have followed my ramblings here will realize that I have always liked “walls of text” if they seem to have a point. But it is not impossible that these devices may “enable” a behavior that was discouraged in the Age of the Web. It certainly looks like Amazon’s Kindle, at least, has caused a surge in book reading not only in America, but around the world wherever it is shipped. Kindles are still running like a river out of the factory, a million or more of them each week! That’s one for every family in one of the world’s large cities, in just a week. And the people who have bought a Kindle, start buying more books than they did before they had it. Intriguingly, they don’t just substitute e-books for paper books. They actually buy more books, and spend more money on books, than before. This is one of those “the future has already begun” things that I sometimes write about. Five years ago, I was still regarded as a bit of a gadget freak because I read books on my mobile phone. Now, e-books are rapidly outselling both hardcover and paperbacks. It is a tide rising, changing things gradually but irresistibly. But as the presentation says: We had centuries to get used to the printed page, a few decades to get used to the Web; these new changes take place in months. It’s the end of the world as we know it – and I feel good enough to lean back, at least. This entry was posted in computers, lifestyle by itlandm. Bookmark the permalink.